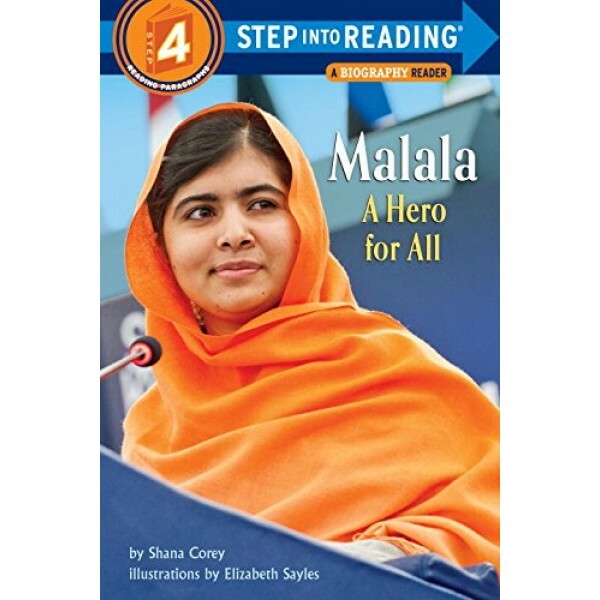 This Step Into Reading Level 4 Biography Reader shares the inspiring story of Malala Yousafzai, the youngest recipient of the Nobel Peace Prize. Even as a young girl in Pakistan, Malala spoke up about the importance of girls' education, via speeches and a blog. Since the Taliban regime was intent on denying girls an education and silencing anyone who disagreed with their laws, this was very dangerous. Malala was shot, but she survived the attack and it did not silence her. In fact, she spoke at the United Nations on her sixteenth birthday, just nine months after she was shot. 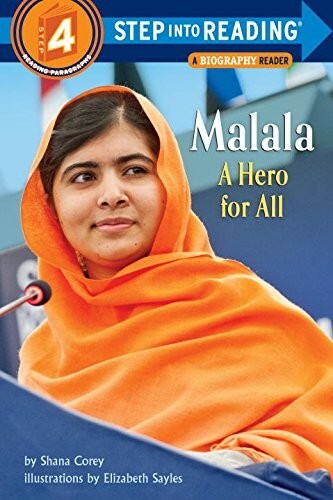 Malala's resolve has only magnified her voice, delivering her message of human rights to millions of people.